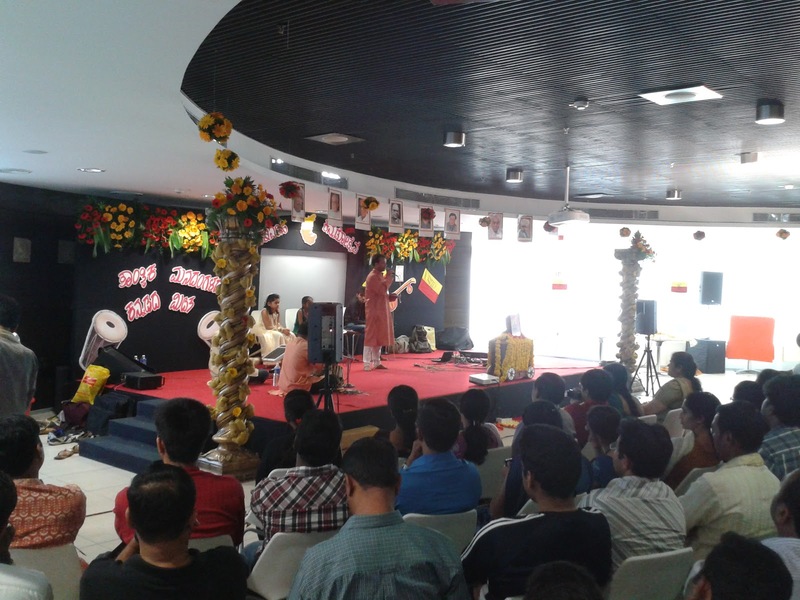 The tagline of the event was amazing: "In this technical mind of ours, there lies a heart that beats for Kannada". The volunteers and organizers were totally dedicated. Brought back the memories of organizing college fests. The stage was nicely decorated. 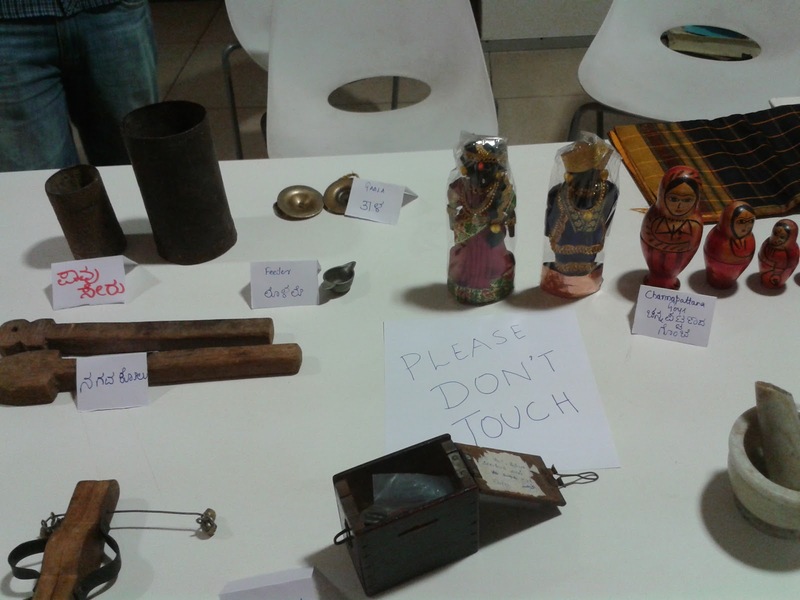 There were exhibits of various antiques that are used in Rural Karnataka. 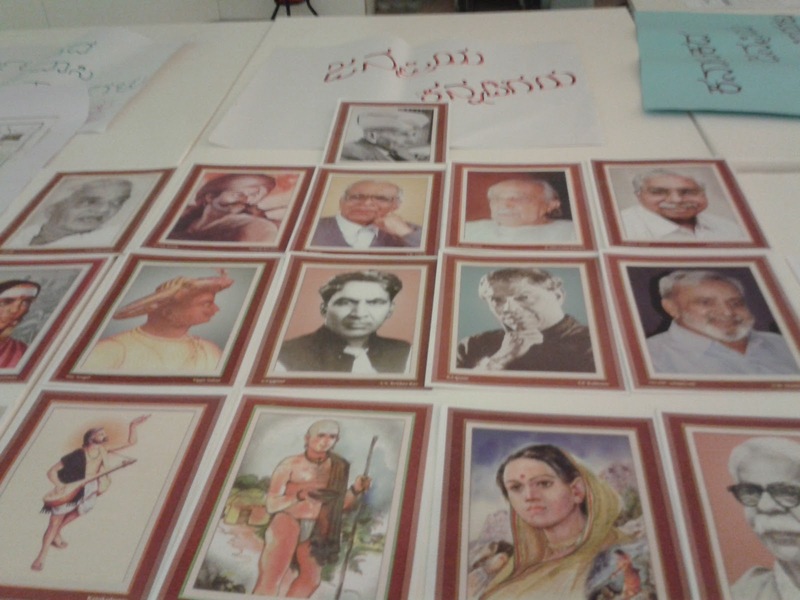 A special counter was kept in place for recognizing the great poets and writers of the Kannada Literature. For people who like cooking and want to try out the South Indian recipes, there was a counter for that too. And a counter was dedicated to the various tourist places to visit in Karnataka. 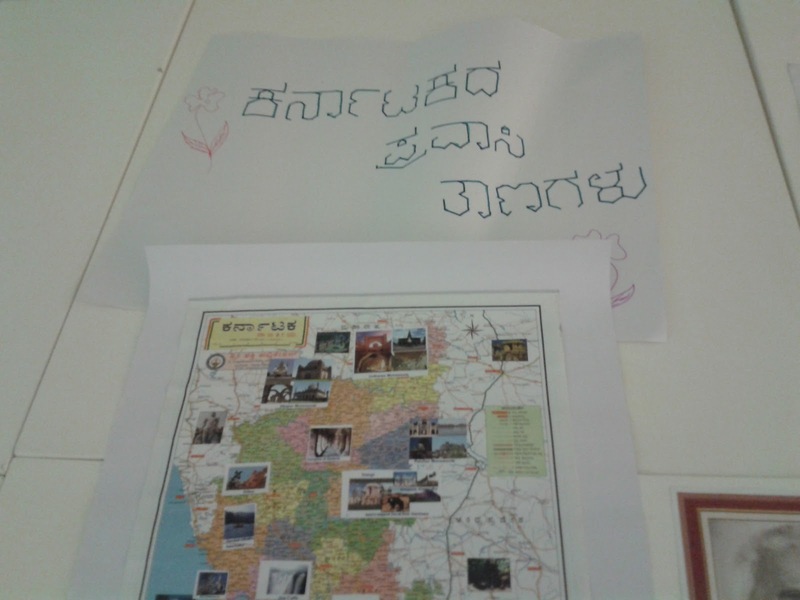 The details were kept in both English and Kannada, and volunteers helped everyone with their queries. The program kick started with lighting of lamp by Prof H S Lakshminarayan Bhatta. I got an opportunity to be the part of the group that sang "Hachevu Kannada da deepa". The 45mins talk by the guest was an amazing blend of humor and knowledge. He told us to concentrate on knowledge that will improve our personality and not just help us to make money. He told we need to travel the world but also visit the places around our home. He told we need to value Kannada but respect other languages as well. After this motivational talk, the Kannada KaLi classes were launched. 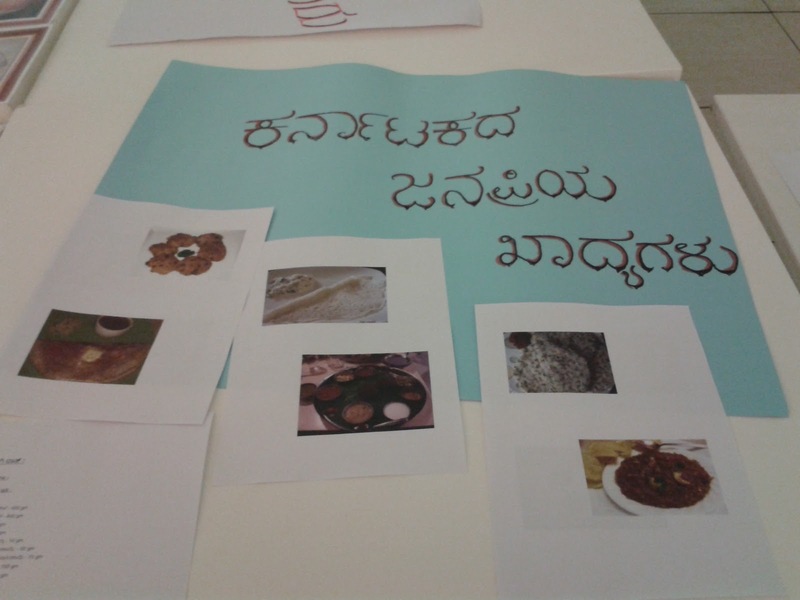 It was an attempt to teach Kannada to the people who are interested. This initiative had a lot of takers even before the classes started. And finally the event ended with 2 hours of concert from the team of Sa-re-ga-ma-pa. A mix of classical and old Kannada songs were sung. The whole floor was jam packed. The crowd was a lot more then we had anticipated. And it was surprising to find a lot of non-Kannadigas also participating in the event. Everyone was dressed in Ethnic to show their support to the event. It was a memorable day. Personally, it was a break from my hectic work schedule. Everyone was speaking about it post the event. Felt really proud to having played a tiny role in this big initiative. PS: I should have written this post in Kannada, but i am bad at writing in Kannada. Please forgive me for it.